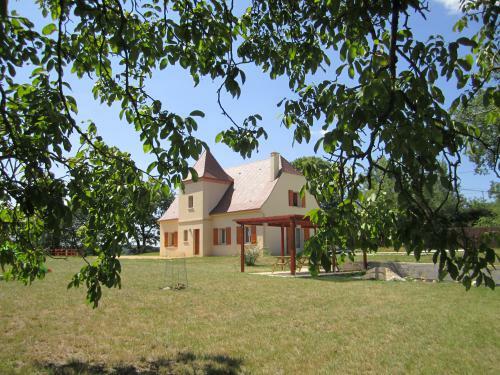 This recently built spacious house, is built in the typical Perigourdine style of the area and offers comfortable accommodation for up to 8 guests. With its open plan living area, ground floor bedroom, and private pool it is ideal for two families travelling together or inter generational holidays!! - a comfortable sitting area with two sofas and armchair, coffee table, lamps and TV. - a dining area with solid wooden dining table and chairs, seating 8, buffet and french doors opening onto the garden and pool area. - an open plan, fully fitted kitchen with a breakfast bar and stools ideal for breakfast. The kitchen is equipped with oven, electric hob, dishwasher, coffee machine, toaster, kettle and all the necessary crockery and utensils for preparing tasty homecooked meals. * a utility room leads off the kitchen, with fridge and freezer, microwave, washing machine and ironing equipment. 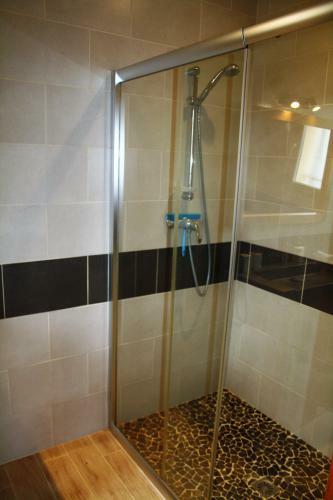 * offering a large double bed (160cm wide), shelving, bedside tables and lamps it has the advantage of having a fully tiled en suite shower room with walk in shower and washbasin. 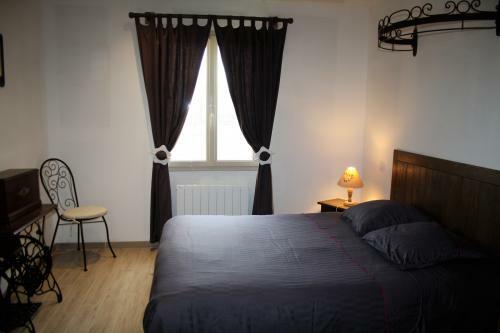 * two double bedrooms, each one equipped with a large double bed (160cm wide), bedside tables, lamps and chest of drawers. 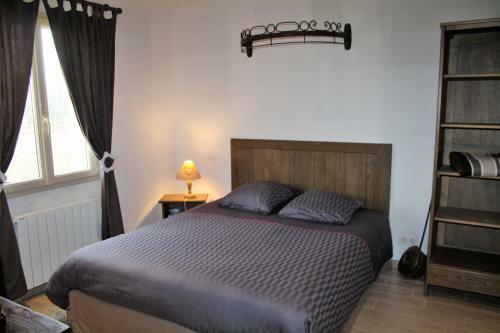 * the fourth and final bedroom offers two single beds, bedside tables and lamps. Electric central heating allows the house to be let during mid and low season. * A large, flat garden surrounds the house and offers plenty of space for ball games. A slide and swing set is available for our younger visitors, and there is also a swing hanging from the huge tree!! 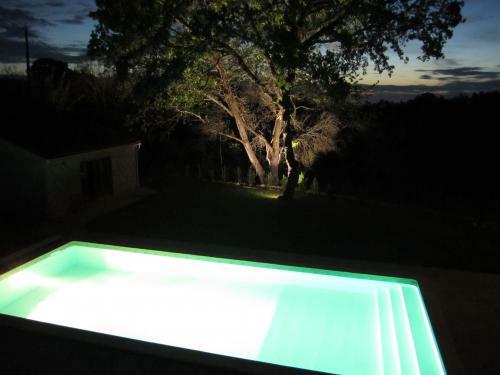 * The private pool, measuring 10m x 5m, is secured by an immerged alarm and a semi hard cover for the children's safety. It has sun loungers and parasols. 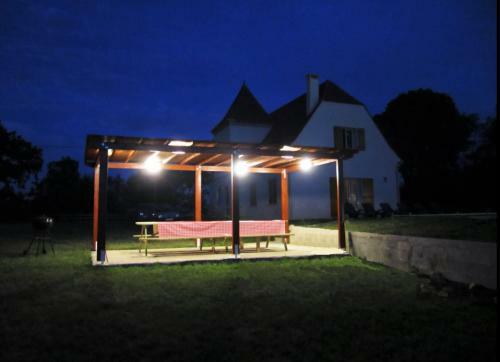 * a pergola is the ideal spot for al freco meals and is equipped with table and chairs. 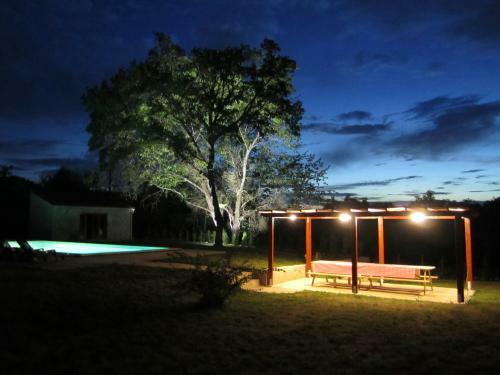 This house is situated in the southern part of the Dordogne, and is ideally situated for visiting not only the must see sights which the Dordogne itself has to offer, but also the Lot valley with its capital town of Cahors, famous for its red wines, and the pretty village of St Cirq Lapopie. 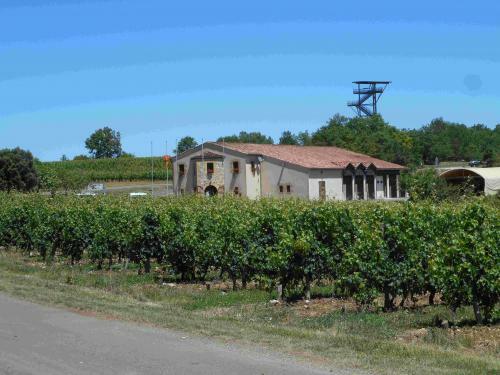 Just five minutes from the house, you can visit the chai of the Vins de Domme (and taste of course their wines!) 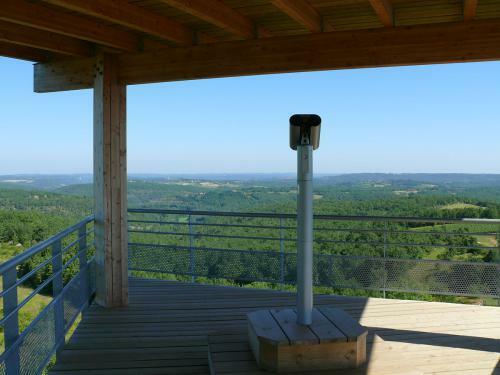 and also climb the Tour de Moncalou, where you will appreciate the fabulous 360° panoramic views. 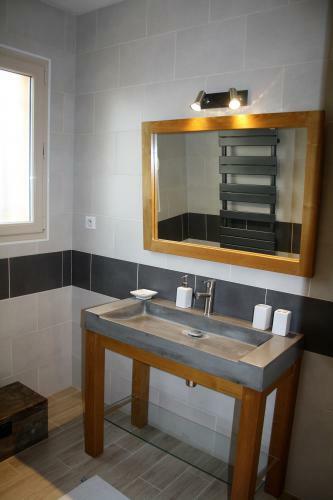 - A cleaning service is available at a cost of 140 Euros.